Please find information on our shipping prices and delivery times. 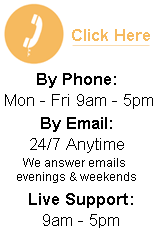 If you need any help regarding shipping, please contact us and we will be happy to help. 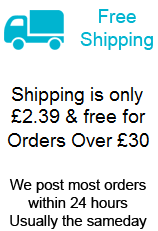 UK standard delivery is £1.95 per order. 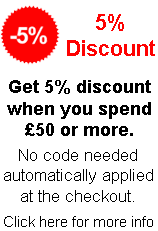 Standard delivery is free on all UK orders £35 and over. Depending on the size and weight of your parcel. 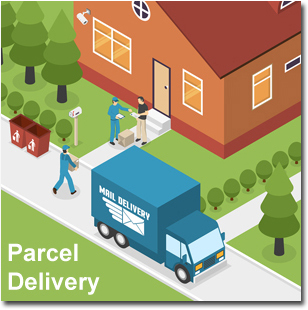 UK standard deliverys are posted within 24 hours (usually we post the sameday when your order is received by 2pm) and usually arrive in one or two days, but please allow 2 to 4 days for your parcel to arrive. Next Day Delivery is £7.95 per order. Next day guaranteed delivery orders are posted the same day and arrive the next working day (orders must be received by 11am) and orders received on a Friday will be delivered on a Monday, but can still be delivered on a Saturday depending on your local Royal Mail delivery office. Saturday Special Delivery is £9.95 per order. Saturday Special deliverys will arrive on a Saturday Guaranteed (orders must be received by 11am on a Friday) for guaranteed delivery on a Saturday. Please Note: If you live in remote parts of the country, we might not be able to guarantee next day delivery for some parts of the country, and all deliverys might take extra time to arrive. Please contact us for more details. Deliverys during bank holidays will be delayed during those days. Europe Delivery including Southern Ireland is £6.25 per order. We ship all Europe orders using standard Royal Mail Airmail or parcel courier (Parcel Force Worldwide, UPS or DPD) depending on the size and weight of your order. Europe delivery - International Tracked & Signed is £9.25 per order. We also offer a fully tracked delivery service to all Europe destinations, with Royal Mail International Tracked & Signed. Tracked & Signed is a service offering full end-to-end tracking. Tracking and Signature items are processed in a separate network while theyre in the UK giving extra priority and security. We will email all tracking numbers and full tracking details when we ship your order. (This is the fastest service and gives full tracking). Europe deliverys are posted within 24 hours and usually arrive in 3 to 5 days, depending on your country. We usually ship your order the same day when received by 2pm. We can ship to just about any country in the world, if your country is not listed at the checkout then please contact us and we will give you a price and details on how you can order.